has three decades of experience as entrepreneur, CEO, and investor. 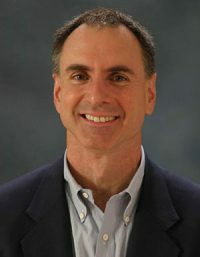 A pioneer in online marketing research, he founded and served as CEO/Chairman of Decisive Technology (now part of Google), publisher of the first desktop and client-server software for online surveys. Later, he founded and served as CEO/Chairman of CustomerSat (now part of Confirmit), a leading provider in enterprise feedback management. Today he is CEO of John Chisholm Ventures, a startup advisory and angel investing group. He is past president and chair of the worldwide MIT Alumni Association, a member of the MIT Corporation (board of trustees), and a trustee of the Santa Fe Institute. He is author of Unleash Your Inner Company: Use Passion and Perseverance to Build Your Ideal Business. He holds BS & MS degrees in Electrical Engineering & Computer Science from MIT and an MBA from Harvard Business School.